Social bookmarking is one of the most effective techniques for building up your web site’s one way links quickly. 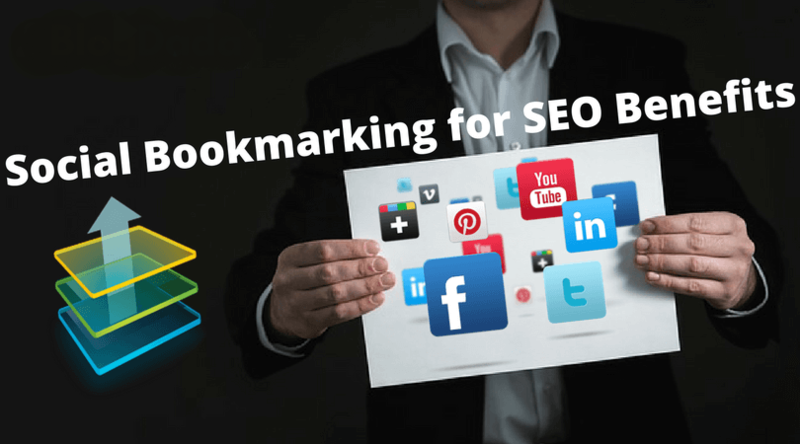 Social bookmarking may mean different things to different people, so let’s define it before we go any further: Social Bookmarking is a way of tagging content to make it easy for other users to find, and for tracking that content. Can we all agree on that? Social bookmarking takes a number of different forms. Digg, Sphinx, Del.icio.us, Flickr, YouTube, Twitter, Facebook, Technorati, BlogSpot and even an RSS feeds from your website or blog can be considered bookmarking if other people are subscribed to your feed, follow or friend you, or vote your content up. The whole point of it is getting your link housed somewhere that people can find it. Whatever process does that is generally a form of bookmarking. If the social network isn’t your scene and it isn’t for many – then you can hire a professional social bookmarking service to take care of regular bookmarking on your behalf. it costs a bit of money, but you get a lot of quality bookmarks and raise your visibility and relevance in the process. You mat even manage to generate some traffic. Be selective. Having a huge array of buttons for every social network you can find at the side or bottom of all your content seems like a great idea, but it can overwhelm people and make them shy away from using even one sharing technique. Keep it simple! Use YouTube for videos, Flickr and Picasa for photos, Twitter and Facebook for laid back personal messages, LinkedIn for professional shout outs, Digg and Sphinx for really interesting stuff that might go viral. The choice is yours, but you need to have a plan for you content. Try to target your following on each piece of content – ask yourself if the Technorati crowd or the stay at home moms bunch are more likely to appreciate the content, and have buttons available accordingly. Really, the maximum number of social bookmarking site buttons that should ever be present is five – more than that and the reader figures ‘what’s the use’ and simply skips the sharing step. At least that is what some people think, others claim the opposite and say you can go as high as 8 or 9 so long as they are recognizable platforms. Don’t start bookmarking then get lazy and quit posting up. Your following wants to see new stuff every day or so, so space it out. You can do this with article sites too. Change it up and vary which bookmarking sites you submit to as well as the type of content, and track your results so you know what works and what doesn’t. This will help keep you from wasting time and effort later on. There are over 200 social bookmarking sites out there – your job is to find the ones that work for you and concentrate your efforts on them. You can always have a social bookmark submissions services firm submit en masse if desired – but figuring out where your niche customers like to hang out if the key to successfully generating extra links and traffic. Social bookmarking must be considered carefully. From how many social bookmarking sites to target, to what kind of content they will find valuable, to whether or not to employ a firm to ensure quality social bookmarking is being done on your behalf. If you do choose to outsource, ensure that your online profile is being accurately represented and that your social bookmarking submissions are being handles correctly so you won’t be labeled a spammer. If that happens, it is the end of the game.